Ritter Communications is pleased to announce it will once again sponsor the annual Radio/Cablethon live from Blytheville, Ark. on Friday, March 3 and Saturday, March 4. In its 37th year, the Radio/Cablethon raises money for St. Jude Children’s Research Hospital, one of the world’s premier centers for the research and treatment of childhood cancer and other catastrophic diseases. The event will be held at the Blytheville High School auditorium, where performances will be showcased for a live audience. 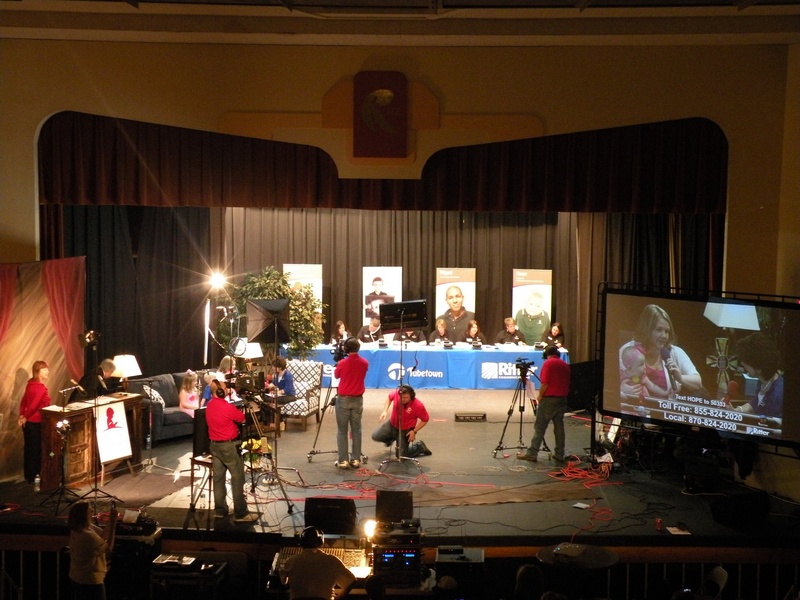 Ritter is celebrating its 10th year of involvement with the event and will broadcast Saturday’s Cablethon live from 10 a.m. to 6 p.m. on our local access channel, Tubetown, which is channel 21 in Northeast Arkansas and Southeast Missouri and channel 11 in West Tennessee. The Tubetown production of the Cablethon will also be streamed live online, which allows viewers around the world to watch by visiting www.TubetownOnline.com. Donations may be pledged during the day of the event by calling 870-824-2020 or 1-855-824-2020. ESA Sorority, a women’s civic club established in Northeast Arkansas who has taken ownership of the event for many decades, fundraises year round to ensure the success of the Radio/Cablethon. Ritter is proud to work alongside the ladies of ESA to produce this community-focused event. KHLS Thunder Country 96.3 FM, a Blytheville-based Sudburry Broadcasting radio station, leads Friday’s Radiothon. On March 3, KHLS’s programming focuses on St. Jude as the station promotes the weekend’s events and solicits pledges from listeners. On March 4, KHLS will air the audio portion of Tubetown’s Cablethon production. St. Jude is the only pediatric cancer research center where families never pay for treatment not covered by insurance, and NO child is ever denied treatment because of the family’s inability to pay. St. Jude relies heavily on donations from generous people throughout the country to fund their efforts. Over the last nine years, Cablethon has raised over $2.3 million in donations to St. Jude, including $223,672 in 2016. Last year’s total included $6,725 from Ritter employee contributions. Led by Ritter’s local content manager, Marcus Carlton, a team plans for months for the production of the Cablethon.